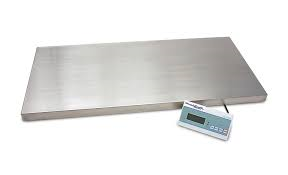 Veterinary scales is something essential for the functioning of the shelter. The dogs’ health state needs to be constantly monitored. This is why they need to be weighed when they enter the shelter and then regularly to be able to discover if any is loosing weight and maybe getting sick. If sick, the dogs need to be weighed to calculate the exact dosage of medications or injections. People that adopt want to know the dogs’ size. In all: the shelter cannot function without proper scales. Unfortunately the old ones are broken and seem irreparable, this is why Cantinho da Milu needs new ones. Can we help them to buy it? The cost is around 300€…. Look at our special edition Christmas T-shirts! Very nice! And this is a good idea for a useful Christmas present – while giving a present you also help the rescue dogs. Christmas is approaching so maybe you would like to buy your Christmas presents with us? For someone that likes dogs and cats it is an excellent present because at the same time they know they are supporting an animal shelter. Look at our Tshirts and caps. The benefit from their sale will be used for the needs of the dogs in the shelter Cantinho da Milu. We have black and white adult Tshirts, size S, M, L and XL. We also have children´s Tshirts, sizes 7-8, 9-10 and 11-12 years. Look also at our caps, they are very cool! One size.